Our free products are the same quality tools and applications that you can find in Extensions for Windows, yet absolutely free. We are so confident that you will love our products, we hope that you will buy the full Extensions package sooner or later, or simply get more use out of Windows and be more happy using it. Until then enjoy some of our individual Extensions absolutely free. Welcome to The Unofficial Windows Upgrade! Extensions enhances Windows functionality with many new useful features, complementing the infrequent upgrades that you obtain (or not) from Microsoft. Do you often find yourself looking for new utilities because Windows doesn't include everything that you need? If so, Extensions for Windows is the solution! If you use Windows XP you can use Extensions instead of upgrading to Vista. If you already use Window Vista you can supplement your desktop with additional features without waiting for yet another Microsoft upgrade. Extensions for Windows consists of a set of well integrated applications that look and feel like part of Windows. 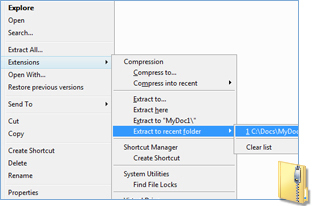 Now you can easily manage, copy and move files between multiple drives and folders by having two folders opened at the same time. You can save frequently used folders by creating a new tab for each folder. You can also synchronize any Windows folder with a backup device, MP3 player, etc. And most importantly, Windows will no longer forget your last used folders after restarting your computer. The Extended Windows Explorer also resolves a common bug in standard Windows Explorer that results in lost folder view settings. 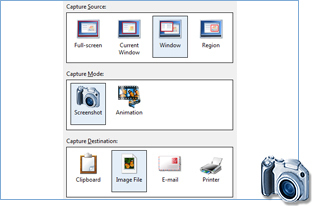 Screen Capture Extension instantly captures a screenshot or selected region of your desktop to a file or email. You can also record your desktop activity to a movie and email it to a friend or associate. 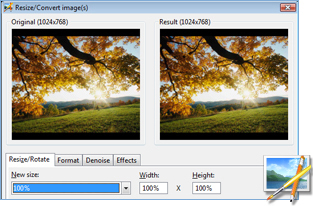 Screen Capture Extension is a great tool to create brief tutorials, while it is also an excellent way to capture details when contacting technical support when any application malfunctions or crashes. Do you know your Windows keyboard shortcuts? 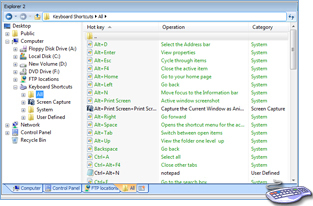 The Keyboard Shortcut Manager Extension displays all Windows keyboard shortcuts and lets you re-configure them or create new ones. Now you can quickly access any Windows applications or functionality by pressing keyboard key combination you choose. Easily convert photos and images between different formats, for example JPG to GIF or GIF to PNG. At the same time you can resize and rotate your photos, even sharpen and remove noise from older or dark photos. 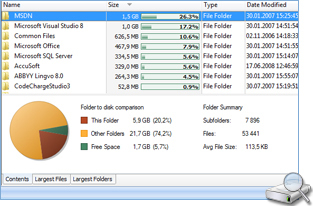 Disk Analyzer helps you organize your files and manage disk space by locating the largest files on your disk. You can quickly find where are your largest files, such as videos, and move them to a special folder or a 2nd disk drive, or you may decide to simply delete unneeded files. Keeping your disk drives uncluttered can also result in faster computer performance. Do you often copy files to a Web server, blog or other locations on the Internet? 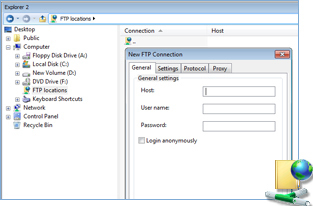 The FTP+SFTP Extension allows you to add your external location directly into Windows, so that you can manage external files in the same way as managing local files and folders. The supported SSH protocol allows encrypted connections to newer servers with improved security. 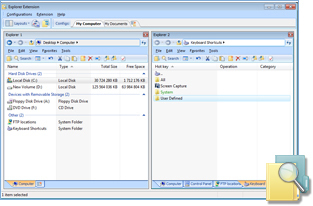 Furthermore, you can upload multiple files to a single or multiple FTP or SFTP servers at the same time. 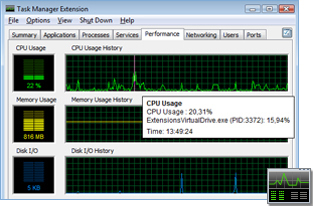 The updated Task Manager allows you to monitor your disk activity and view connections from external other computers communicating with your desktop. Now you can uncompress more file format that you may receive via email or download from the Internet. The File Compression Extension extracts files from such popular archive formats as ZIP, TGZ, JAR, CAB and RAR. You can easily Zip files as well.